As Facebook celebrates the second anniversary of its “Marketplace“, the social media giant has introduced new Artificial Intelligence (AI)-powered features to help its buyers and sellers complete transactions faster. 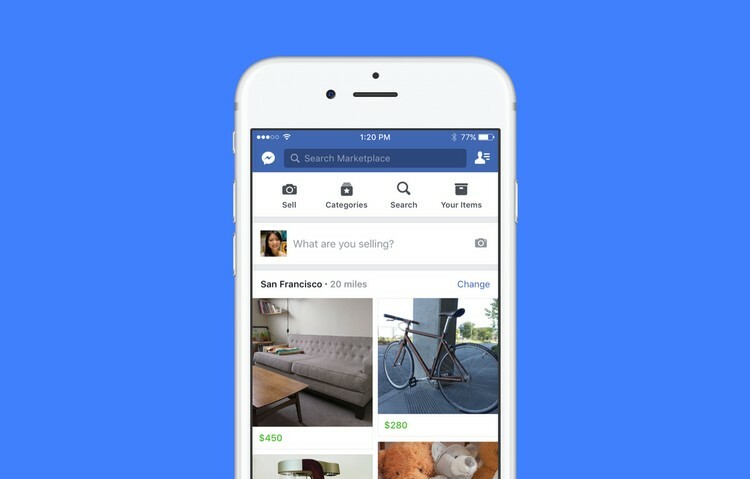 Marketplace was introduced in 2016 as a place for Facebook users to buy and sell within their local communities. It has grown to be a place where people around the world can discover things they love, connect with people locally, launch a business, and earn a living, Facebook said. “We believe AI can fundamentally change the way people shop, and are excited about the potential opportunities and value it can bring to buyers and sellers,” Deborah Liu, Vice President, Marketplace, Facebook. AI has already been used to make Marketplace more efficient and help sellers connect with more potential buyers by performing a variety of tasks such as improving the quality of photos automatically and translating Messenger conversations, among others. The new features introduced this week use AI for price range suggestions and auto-categorization. For example, if you wanted to sell your home office chair, Marketplace could use AI to help you sell it even faster by suggesting you price it between $50-75 based on what similar chairs recently sold for. It will also automatically categorise the chair as “furniture” based on the photo and description, so that you don’t have to. “We’re also testing camera features that could use AI to recommend products you might be interested in. Say you liked your friend’s headphones and wanted your own; you could snap a photo of the headphones and Marketplace’s AI technology could recommend similar listings for sale nearby,” Liu said. “For example, you could upload a photo of your living room and get suggestions on furniture to buy based on your layout and size,” Liu added. Facebook said it had invested in detecting and removing inappropriate content from Marketplace. “Thanks to our AI technology, we are working to detect and remove items that violate our policies by analyzing the images, content, and context within a listing,” Liu said.